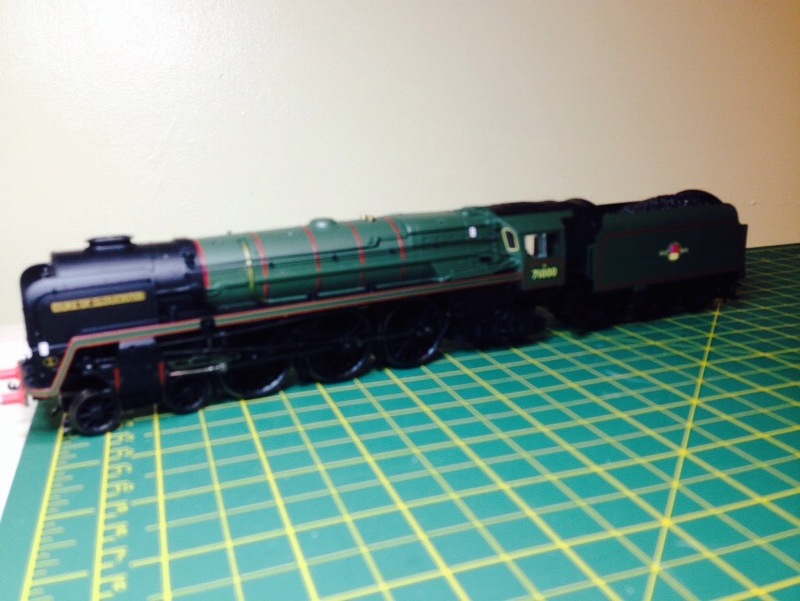 A few months back I bought a Hornby Duke of Gloucester after finding out the one-off Standard 8P paid a good few more visits North of the border in the early days than I’d previously given the loco credit for. 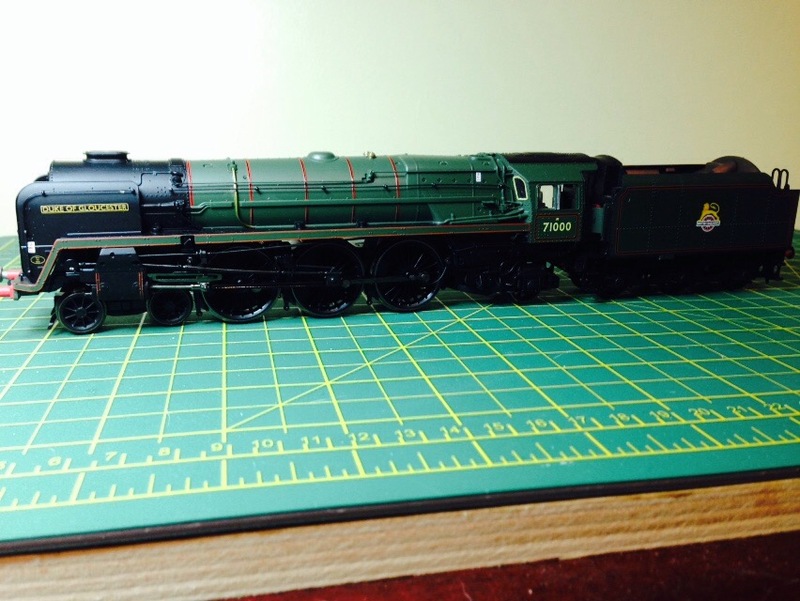 Hornby supply 71000 in post 1957 condition with the second type of tender whilst I wish to portray The Duke as originally fitted with the BR1E tender. Essentially, this is a BR1D as fitted to 70045-54 with the coal partition removed. I have precious little reference material on the 1E and online sources didn’t go into massive detail as far as I could see so as I decided to wing it and use the spare 1D body shell I had lying spare. This also had the advantage of being in the early crest livery. It was pretty much a simple case of unscrewing one body and replacing the other as they share more or less the same fitting. 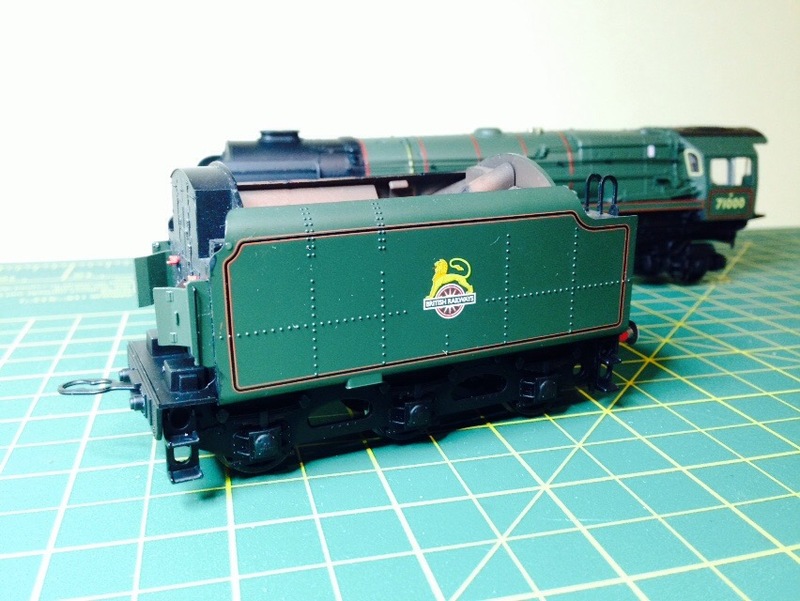 In order to utilise the close coupled position, I filed away the bulk of the internal buffers, almost flush with the drag box on the tender face. 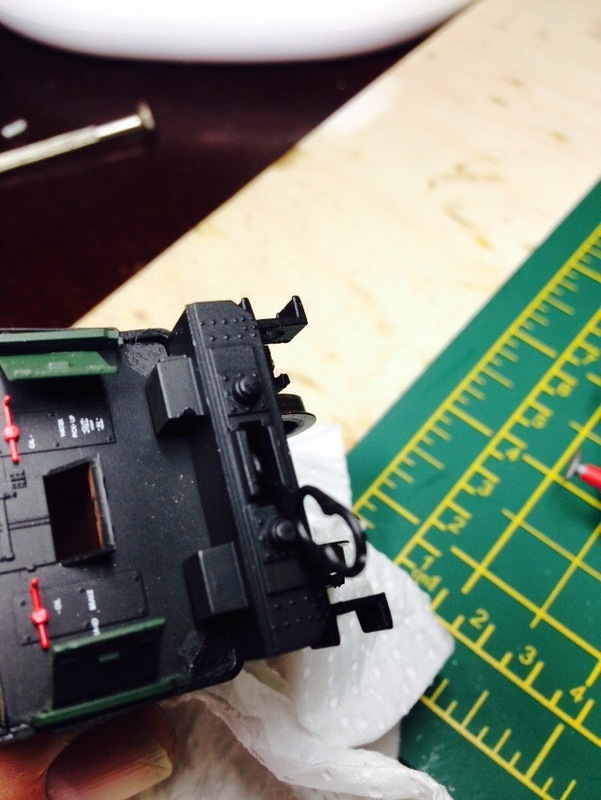 It makes a big improvement; I have a real problem accepting excessive coupled distances! 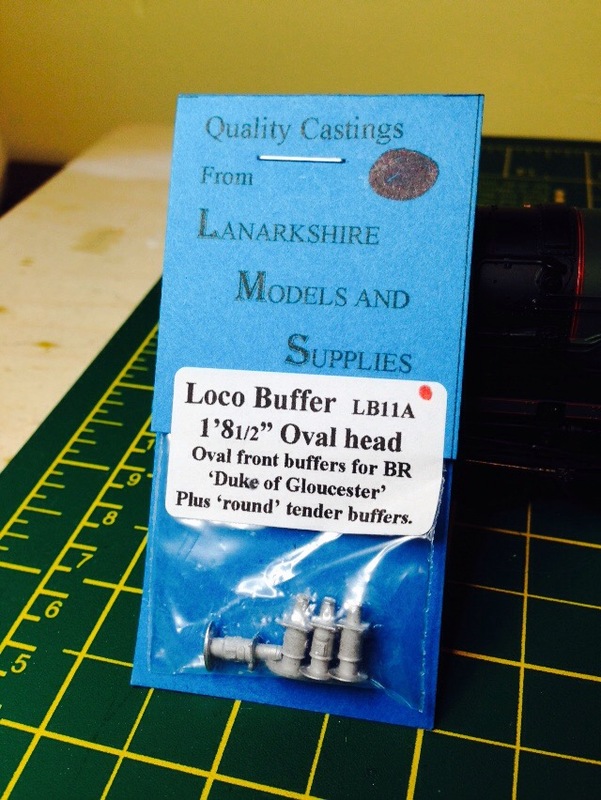 There’s more work to be done to the loco including conversion to EM and the fitting of some nice Lanarkshire Model Supplies cast buffers (illustrated) which will give a much more grown-up appearance to the loco. At the end of the day she will join my slowly expanding EM fleet as its first Pacific type and while not directly relevant to my own current projects, 71000 will look pretty smart and will no doubt make odd appearances in Wharfedale, having been borrowed by Kingmoor for a cheeky ‘out and back’ to Leeds! Looking forward to seeing the Duke on Wharfeside Dave. It should manage the three coach stopper…. Hope you had a good Christmas and wishing you a better year for next year. I’ve had a pretty quiet but enjoyable Christmas. Missing proper two-day Scottish New Years though! Maybe put that right next year. I’ve got a week off in a fortnight so I’ll try and make it up on the Monday, all being well.